Does something have to be racist to be wrong? Last summer the big news story was the arrest of Harvard Professor Henry Louis Gates, who is black, at his home by Cambridge Police Sgt. James Crowley, who is white, on a charge of “loud and tumultuous behavior,” and the controversy over whether this was an example of white racism. The background is that Prof. Gates had returned from a long airplane flight to China, found himself locked out of his house, and forced open his front door. A neighbor thought Prof. Gates’ house was being burglarized, and phoned Cambridge police. Sgt. Crowley showed up and demanded Prof. Gates identify himself which, after some argument, he did. So far, so good; up to this point Sgt. Crowley was going his duty. The argument is over what happened next. Click here for Sgt. Crawley’s version and here for Prof. Gates’ version. What is undisputed is that Sgt. Gates did not leave after Prof. Gates produced his ID. Instead Sgt. Crowley invited Prof. Gates outside, where he then arrested him on a charge of making a public disturbance. The charge was later dismissed. The question everybody asked was: Would Sgt. Crowley have behaved the same way if Prof. Gates had been white? My best guess is: Yes, absolutely he would. I can’t of course read the mind of somebody I don’t even know, but everything I’ve read about police officer’s background leads me to think that (1) he doesn’t have anything in particular against black people and (2) he would have treated me, a white man, in exactly the same way in the same circumstances. That is to say, I could have been arrested even though I had committed no real crime. Why is this supposed to be a consolation? I read and heard commentary afterward about how incidents such as this should make me aware of my “white skin privilege.” My thought is just the opposite. It is that anything that can be done to a black man can be done to me. Most of my friends are college-educated white people such as myself. We are all aware that there is an unwritten offense called “contempt of cop.” We all are very careful about how we address police officers, as Prof. Gates would have been wise to do. Subservience to authority has become the norm in American life for everyone, not just minorities. True, it is not the same for white people as for black people. For me and my white friends, the issue when we interact with a police officer is whether we will be charged and what with. A black acquaintance once told me that he instructs his young son in how to behave around police because he saw it as a life-and-death matter. He thought a misunderstanding or wrong word could get him or his son killed. I don’t have to worry about things like that, but is that a “privilege”? Isn’t that more like a right? If white people were treated just as badly as black people, would that be a solution? Not having to worry about police abuse, not having to worry about discrimination in employment or finance, not having to worry about being judged on the basis of my race – these are not things to feel guilty about having; these are things everybody should have. I of course respect the role of the police in upholding the law and public order. I understand that police work is stressful and dangerous. I think most police officers act in a responsible and professional manner most of the time, but not all of them do so all of the time. I have some links to background on the Gates case and related matters below the fold. When I was just under 16 years old, I was awarded a scholarship which entitled me to go directly from the 10th grade of Williamsport (Md.) High School to the freshman class at the University of Wisconsin. This was in 1952, during the Korean War, and the Ford Foundation Pre-Induction Scholarships were intended to allow bright boys (girls were brought in later) to complete college prior to their military service obligation. But when the test scores came in, all the highest scores were by students in two elite high schools in New York City – the Bronx High School of Science and Stuyvesant High School. Since it wouldn’t look good to give all the scholarships to students from just two high schools, he restricted them to 50 percent of the scholarships, and also allocated 10 percent of the scholarships to residents of the state of Wisconsin. My own test scores were nothing special, he said; he chose me because I was the only applicant from the South and because I chose to be tested on my knowledge of history and English rather than the sciences, as all or almost all the other applicants had. He said he thought that just because I was so different from the others, it would be interesting to take a chance on me and see how I worked out. I was glad he waited until I had a couple of years of college under my belt before telling me this. If I had known this right off the bat, it would have shattered my self-confidence. I didn’t, and I don’t, feel bad about the reason I was given the scholarship. But because of this experience, I don’t get indignant because here and there blacks or Hispanics get something they aren’t strictly entitled to. By the way, I never met any black Ford scholars. I don’t think there were any, but there could have been some, because I didn’t meet all of them. Prof. Howe kept us separated so that we would blend in with the rest of the college population and not come together as a separate group. It never occurred to me back then (the program ran from 1951 through 1955) to notice the absence of black Ford scholars or wonder about the reason for it. In the debate over health care reform, both sides acted as if they inhabited different realities. But they both accepted the evaluations of the Congressional Budget Office as objective and fair. It is remarkable that any institution should have an authority that is accepted by all side, if you considered the polarized nature of today’s politics. And the Congressional Budget Office is not alone in this respect. The National Institutes of Health, the Bureau of Labor Statistics, the Government Accountability Office, the National Academy of Sciences and many other institutions in and out of government can be relied upon for facts and non-partisan judgments. It runs exactly counter to the version of postmodern philosophy which says there is no such thing as truth and falsehood, only individual subjective viewpoints – a philosophy which seems to underlie a great deal of politics and journalism nowadays. We can’t take the integrity of such institutions for granted. They could easily become as partisan and political as the Supreme Court. Or they could be shut down, like the Office of Technology Assessment in 1995. There is a neverending struggle between those who desire to know the truth and those who desire not to know the truth. Click here for an article on reviving the Office of Technology Assessment. The Affordable Care Act is an example of how much more willing government is to regulate individuals than it is to regulate business corporations. Under the new law, individuals are required to health insurance from private corporations. But the insurance companies will not have to compete with public option. Insurance companies are still not subject to anti-trust laws. The health insurance companies at some point will be required to pay out 80 percent to 85 percent of premiums in benefits, which is more than they do now, but that still will be more in overhead than with Medicare or health insurance systems in other countries. Medicare is still barred from negotiating with drug companies for lower prices. Americans are still barred from buying drugs in Canada. The Congressional Budget Office’s analysis is that by the year 2016, health insurance companies will collect roughly as much in premiums under group insurance plans and 10 to 13 percent more under individual plans than they would without the law. The government will offset this with subsidies to individuals whose incomes are less than four times the proverty level. These subsidies will be paid for partly through taxes and partly through cost savings in a universal plan. The CBO’s analysis is that 60 percent of the population will pay less for health insurance as a result of these subsidies, and those near the poverty line will pay next to nothing. I do not object to these subsidies, nor do I deny there are good things in the new law. I merely note that by holding harmless the health insurance industry and the drug companies, the government is passing up the simplest and most obvious ways of controlling health care costs. A friend of mine who bought a new house was surprised and pleased that he will receive a $7,000 subsidy under the government’s stimulus plan. A lot of the stimulus is like this – rewarding people for doing things they would have done anyway. You could say that anything that gets more money into circulation helps stimulate the economy, but you could say the same thing for a policy of dumping bushel baskets full of $100 bills out of airplanes. The United States has a lot of things that need doing – replacing deteriorating water and sewer systems, repairing deteriorating bridges and other infrastructure, bringing out broadband Internet services up to international standards – and we have a lot of people who need jobs. So why not put the unemployed to work doing things that have to be done anyhow? 1. No matter how good the health care in a particular country, people will complain about it. 2. No matter how much money is spent on health care, the doctors and hospitals will argue it is not enough. 3. The last reform always failed. I copied this out of T.R. Reid’s The Healing of America: A Global Quest for Better, Cheaper and Fairer Health Care. Reid’s excellent book is a study of health insurance systems in other countries and of what we Americans can learn from them. I am sure that most Republicans are as opposed as I am to violence and lawbreaking by a lunatic fringe. But I think the Fox News/talk radio wing of the Republican Party bears responsibility for recent vandalism and death threats. If you compare President Obama to Hitler and Stalin and his health care reform legislation to National Socialism and Bolshevism, it should not be surprising if some people who will behave as if these things were true. I wouldn’t be surprised if there was an attempt on the life of President Obama before his term is out. If the world would have been better off if somebody in the 1930s had assassinated Hitler, and if Obama is equivalent to Hitler, then … you can see where that logic leads. I think the reason President was awarded the Nobel Peace Prize so early in his term was that Nobel prizes are not awarded posthumously, and the committee wanted to honor him while he was still alive. The average American college student graduates with $20,000 in debt. As part of the Affordable Care Act reconciliation process, Congress eliminated commercial banks from the process of lending government money to students. This will save an estimated $61 billion over 10 years, which will be redirected to higher education and student aid, including an extra $36 billion for Pell grants to low-income students. This is a good idea, but it is ironic that the Affordable Care Act eliminates the middleman commercial banks in student loans, but does not eliminate the middleman private insurance industry in guaranteeing health care. Nor is the extra aid likely to offset the soaring cost of college tuition. It is like so much of what passes for reform these days. It keeps things from being worse than they otherwise would have been, without actually making things better. Click on this for a New York Times report on the legislation. [Update 9/5/10] I may have given President Obama too much credit. Click on this to see why. A couple of years ago vendors of honey at the Rochester Public Market told me about something called “Colony Collapse Disorder” – a mysterious something that caused adult bees to fly off and die. CBS News reported that colony collapse disorder has wiped out 3 million to 4 million beehives in the United States, about 30 percent of the total. My vendor friends blamed pesticides, and they may be right; many of the dead hives have high residues of pesticides and other chemicals. Many kinds of fruits and vegetables, such as apples and raspberries, depend on bees for pollination. We won’t starve to death without the bees, according to agricultural experts in an article on the Atlantic Monthly web site, but our diet will be a lot less varied. Books such as Fast Food Nation and movies such as “Supersize Me” put the blame for the nation’s obesity problem on the fast food industry and its ability to manipulate our desire for more. But a scholar who has studied paintings of the Last Supper says that portion sizes in the paintings have been growing for the past 1,000 years, according to the Los Angeles Times. By comparing the size of the meal to the size of the disciples’ heads, Brian and Craig Wansink determined that the size of the plates increased 67 percent, the size of the entrees increased 70 percent and the size of just the bread increased 23 percent over the past millennium. It is a good thing that people today are bigger, healthier and better-fed than people back then, but you can have too much of a good thing. The health care reform law contains a 10 percent tax on tanning salon services, but not a 5 percent cosmetic surgery tax that was in an earlier draft. The American Conservative magazine web log says this is a good example of what’s wrong with the Democratic Party. The writer says the Democrats ought not to favor the affluent classes who can afford Botox treatments over the regular folks who patronize tanning salons. I have to agree, although cosmetic surgery isn’t always a luxury; it would be a necessity for someone whose face was disfigured in an accident or because of a birth defect. The Social Security trust fund will pay out more in benefits this year than it will collect in taxes, the New York Times reports. But it won’t run a deficit, because the interest on the U.S. Treasury bonds it holds will make up the difference. Back in the Reagan years, there was a bipartisan agreement to increase payroll taxes so that the Social Security trust fund would have a surplus when the baby boom generation reached retirement age. An Associated Press article says the fund consists of “government IOUs,” as if this was a problem. Should the Social Security trust fund have been invested in dot.com stocks or hedge funds? If President Barack Obama was a Republican, and the health care reform bill had been enacted by a Republican Congress, I would call it a typical Republican sellout to corporate interests. I would point out that President Obama campaigned on a platform of openness, and yet met secretly with representatives of drug companies and health insurance companies (and not with labor, consumer or health care reform groups) as he worked out his proposal. I would point out that President Obama campaigned on a promise to provide a public option – a government insurance plan that people could choose if they couldn’t get or didn’t like private insurance – and broke this promise in a secret deal with the drug companies. I would point out that President Obama campaigned against Senator Hillary Clinton on a promise not to require individuals to sign up for health insurance against their will, and yet signed legislation making the whole uninsured American population a captive market for the big health insurance companies. I would point out that President Obama campaigned against Senator John McCain on a promise not to tax health insurance benefits, and yet signed legislation taxing the so-called “Cadillac” plans. I would point out that the legislation signed by President Obama does not control repeal the anti-trust exemption enjoyed by the health insurance industry, nor does it allow the U.S. government to negotiate with drug companies, as foreign governments do, to bring drug costs down, nor does it repeal restrictions on Americans buying drugs in Canada, nor does it allow state governments to experiment with single-payer or public option systems. I would question whether the subsidies for people who can’t afford insurance will be adequate. I would question whether the proposed regulation of insurance rates and profits would be workable. These are the points I would bring up if President Obama were a Republican and Congress were controlled by the Republicans, because I would be able to argue that the Democrats could do better. But President Obama is a Democrat, the bill he signed was enacted by a Democratic Congress and the only alternative the Republicans have presented is to do nothing. The Republican Party hasn’t always been like this, and I hope it won’t always be. Mitt Romney when he was governor of Massachusetts proposed a health care plan similar to Obama’s. Even William Kristol, back in the Clinton era when he advised House Minority Leader Newt Gingrich to oppose the Democratic health care reform plan at all costs, felt it necessary to propose alternatives. As recently as 2007, Republicans worked with Democrats to make constructive proposals. But when President Obama took office, the Republican position has been total opposition, including opposition to proposals that they themselves once made. I hope the new law will do some good, and provide a framework for further improvement. But it’s possible it will do nothing, and it’s possible it will do harm. But if nothing had been done, there is no question what would have happened. Health insurance premiums would have continued to rise. More and more people would have lost their health insurance. People with insurance would have continued to live in fear of losing it. So that was the choice – something that might not be good and something that clearly would be bad. When you think of Presidents we consider great progressive reformers, they were all being pressured by grass-roots movements to do better than they were. President Abraham Lincoln was constantly attacked by abolitionists for making compromises on slavery in the interests of preserving the Union. President Franklin D. Roosevelt was the most pro-labor union President in American history, but leaders of the CIO (Congress of Industrial Organizations) did not cease to organize strikes just because they were politically embarrassing to FDR. President Lyndon Johnson did more for civil rights of African-Americans than any other President except Lincoln and perhaps Grant, but that didn’t stop the Rev. Martin Luther King Jr. from speaking out against the Vietnam War. I keep changing my mind about President Barack Obama. Sometimes I think he is the kind of nice guy who doesn’t win ball games. Sometimes I think he is a witting or unwitting tool of the business and political establishment. Sometimes I think he is doing the best that is humanly possible to bring about positive change within a dysfunctional system. But even in the best case, progressive reformers do neither themselves nor President Obama any favors by sitting back and trusting him to do things. Even if in his heart he wants to do the right thing, he needs pressure from the grass roots to make him do it. Barring the unforeseen, the health reform bill will be enacted into law with a final vote by the Senate and signing by President Obama. I am (1) disappointed that the law is not better and (2) amazed that anything at all was done, considering the obstacle course in the way. The reformers had to get not only a majority vote in the House of Representatives and 60 votes (!) in the U.S. Senate, against the opposition of not only lobbyists and vested interests, but the disinformation spread by a powerful and partisan news network and a Republican opposition using every possible procedural technique to sabotage the process. The credit for success belongs to House Speaker Nancy Pelosi as much as anyone. She stood firm when members of the White House staff were talking about giving in, and held together a Democratic coalition of progressives, New Democrats and right-to-lifers. What we have gotten is an extremely modest bill, like Governor Mitt Romney’s Massachusetts plan, but one which provides a basis for further progress. It provides that nobody can be refused health insurance because of a pre-existing condition, or will lose health insurance because they change jobs, or have their health insurance run out because their medical bills exceed a set limit. In order for this to be feasible, it’s necessary to require everybody to be insured. Otherwise people would wait until they got sick to sign up for health insurance. The bill provides subsidies for people who can’t afford insurance. The key question is the limit on increases in health insurance premiums. Otherwise the subsidies become a pass-through to the insurance industry. The best way to have expanded coverage while holding down costs would have been a single-payer system, such as Medicare for everyone. The second-best way would have been a public option, which would give people an alternative to the for-profit private insurance companies and forced the companies to mend their ways or go out of business. The least desirable way would have been to treat insurance companies like regulated utilities, and forced them to get government approval for rate increases. What the bill does is require insurance companies to pay out 80 percent to 85 percent of premiums (depending on size) to pay medical bills. That still leaves 15 to 20 percent of premiums serving no medically useful purpose, since there is no need for insurance companies in a universal system. But that is the price that had to be paid to get a bill enacted at all. Similarly, there is no control on drug costs; similarly, insurance companies continue to be exempt from anti-trust laws. Another control on premium costs will be the “exchanges,” where people will be able to compare costs and benefits. I hope these things work. The signing for the health care reform bill will not, to paraphrase Winston Churchill, is not the end of the struggle for universal health care, but it perhaps is the end of the beginning. Drug companies and insurance companies will be working to water down and weaken the bill, as will the Republican congressional leadership. Progressives should be working just as hard to strengthen it. P.S. Click on this for a different view of the health reform bill and what needs to be done now. P.P.S. (March 23, 2010). Click on this and this and this for commentary on what President Obama had to give up to the drug and insurance companies to get the bill passed. Why can’t we grow our own? Thomas Friedman of the New York Times had a nice column about how two-thirds of the 40 finals in the Intel Science Talent Search, an honor to high school students of math and science for their solutions to scientific problems, had Chinese and Asian Indian names. It is an example, he wrote, of the benefit to the United States of our ability to attract talented immigrants from other countries. A friend of mine who teaches computer science at an upstate New York university (not in Rochester). His most talented graduate students are almost all immigrants. Yet there is a decrease in the number from China and India because they are able to find good opportunities in their own countries. An increasing proportion come from majority Muslim countries, he said. But among native-born Americans, he finds a decreasing number with a deep understanding of abstract reasoning and logical relationships. I have to wonder whether the children and grandchildren of the science students Thomas Friedman writes about will have the same dedication to science and knowledge as their elders. A new acquaintance of mine is a volunteer teacher on an Indian reservation in northern New Mexico. She said the young children there take on great responsibility at young ages (a five-year-old may be responsible for looking after a one-year-old), and also have great personal freedom. She said they are eager for knowledge and soak it up like sponges. She fears that, in a few years, they will have been assimilated into the American mass-media culture, and devote themselves to TV watching and text messaging like “normal” American kids. I am 73. I don’t have much contact with young people. Somebody age 35 seems like a kid to me. So I’m not going to launch a what’s-wrong-with-kids-today rant. It wouldn’t carry any authority. Besides, looking back to my own boyhood, although kids in my day relied more on themselves and less on the mass media for entertainment, devotion to intellectual activity was regarded as abnormal then as it is now. Those are attitudes that go back to Andrew Jackson and Tom Sawyer. So I’ll return to my original point. I think it’s great that the United States as a nation provides opportunities that attract talented, hard=working immigrants. But if our own culture doesn’t support respect for intelligence and work, that’s a problem that immigration in the end will not overcome. Thanks to Anne Tanner for the Thomas Friedman column link. Germany, as I noted in an earlier post, shows that it is possible for a nation to maintain a high material standard of living while still competing successfully in the global arena. Germany is the world’s second-largest exporting nation, behind China, and for many years was number one, and it has the world’s third-largest trade surplus, behind China and Japan. Be it noted that there are about 60 million Germans and more than 1 billion Chinese. At the same time German workers get six-week vacations, generous old age pensions and guaranteed health insurance. Thomas Geoghegan, a Chicago labor lawyer, has an excellent article about this in the March 2010 issue of Harper’s magazine. He attributes Germany’s superior economic performance to its system of worker participation in corporate governance which, ironically, was imposed on Germany by the victorious allies after World War Two. Workers have equal representation on the boards of directors of large corporations with shareholders, although the shareholders have the deciding vote in case of a tie. The important thing from the workers’ perspective is that they know what’s going on. They know the financial situation of the corporation, and they know its plans. If a company is considering moving a manufacturing operation to Asia or eastern Europe, the union can make a counter-proposal to make it economically feasible to stay in Germany. I don’t think that is the whole story, but I do think it is a great advantage to Germany to avoid the kind of class warfare we have in the United States. Workers can suggest improvements in efficiency without fearing they will jeopardize their own jobs. Even if you don’t think worker participation is the cause of Germany’s economic success, the facts show that it hasn’t prevented that success. You may say that this is all very well for Germany, but its institutions can’t possibly be transplanted to the United States. But the United States has a long history of adopting good ideas from Germany. The Joint Chiefs of Staff of the U.S. armed forces are modeled on the Prussian General Staff. U.S. corporate research laboratories and research universities were inspired by Germany models. The U.S. interstate highway system is modeled on the German autobahn. The secret of success is to take other people’s good ideas and improve upon them. You can’t know where you’re going unless you know where you are, and you can’t know where you are unless you know where you’ve been. My friend Anne Tanner e-mailed me this link to a PBS Online report on Charles Moore, a photographer who covered the civil rights movement in the South. I believe I saw some of his photos when they were originally published, although I wouldn’t swear to it. I remember the era well; I even heard Martin Luther King’s “I Have a Dream” speech, without realizing I was hearing the equivalent of the Gettysburg Address. It is sobering to reflect that for school children today, that is a period of history as distant in time as the era of Teddy Roosevelt and Woodrow Wilson was from me when I was in school. I’m glad that President Obama at last is acting like a fighting leader, and not like the moderator of a panel discussion. It is not logical, but that alone makes me more willing to get behind his health reform program. I’m still disappointed that the health care reform bill contains no public option and it apparently does not provide any regulation of health insurance premiums. But there is a long list of organizations (*) that say it is better than the present situation. Click on the highlighted words to see what I mean. My hope is that once the principle of universal health care is accepted, the problems can be fixed; the danger is that the program will work so badly, with all the young people who supported Obama being forced to buy health insurance they can’t afford, that it will be repealed and taken off the national political agenda for another generation. (*) Scroll down or move through the pages to see the list. I posted this item on March 20, 2010 and expanded my comments on June 6, 2010. I think the overall U.S. trade deficit is a more serious problem than the government revenue deficit. Our unemployment rate is worse than the world average, but our economic decline is not so bad. You can click on highlighted words for the full CIA World Factbook lists or look below the fold for the basic figures. The point of all this, it seems to me, is that these are all forms of deficit. If we as a nation import more than we export year after year, that is a deficit. If we fail to find jobs for our working-age population, that is a deficit. A declining economy feeds into all the other deficits. If we had good economic growth, if we had a high-wage full-employment economy, all other problems would be relatively easy to deal with. But with a stagnant or declining economy, the other problems become intractable. I’m disappointed that the Democrats weren’t able to pass a better health care reform bill, but I think Dennis Kucinich and other critics who are now supporting it have made the right call. As Steve Benen pointed out in his Washington Monthly web log, the original legislation for Social Security, Medicare and the civil rights laws fell short of the ideal. Nor were they all that popular. Once the laws were passed, however, public opinion changed and there was something to build on. Back in 2003, I thought the invasion of Iraq was a good idea. Saddam Hussein was a manifestly evil tyrant, and it was obvious that the world would be better off without him. Just as one detail, he issued a decree a couple of years before that anyone who spoke disrespectfully of him or his two sons would have their tongues cut out; Amnesty International found someone who had been subject to that punishment. I felt shame that President George H.W. Bush after the 1991 Kuwait war had called upon the Iraqi people to rise up against Saddam Hussein and then permitted him to slaughter the rebels with helicopter gunships. I felt that the prolonged low-level war waged under President Clinton, consisting of blockade plus intermittent bombing, caused as much suffering as a short full-scale war would have, but without threatening Saddam’s power. I further felt that the blockade was unsustainable, and would sooner or later fade away. So I thought it a good idea to take advantage of the fact that Saddam was stockpiling weapons of mass destruction, and get rid of him for once and for all. Even after the United Nations debates, when it became apparent that the evidence against Saddam was fraudulent, I still had mixed feelings. The Mexican War and the Spanish-American were launched on faked evidence, and nobody today cares (except Mexicans and Spaniards). If the United States liberated Iraq, there would a major oil-producing nation in the heart of the Middle East with a democratic government in which Americans were popular. Or so I thought. It only took a couple of weeks to show how wrong such thinking was. But sometimes I think that if only the U.S. government had acted more wisely, if it hadn’t reduced the country to a state of anarchy, if it hadn’t disbanded the Iraqi army while allowing soldiers to keep their weapons, if it hadn’t allowed the arsenals to be looted, if it had recognized the spontaneous elections held in different Iraqi cities, if it had employed Iraqis in rebuilding their country rather than turning it into a bonanza for American contractors, if it hadn’t made so transparent a grab for control of Iraqi oil, if only a lot of other things … then things might have been different, but probably not. In 2004, like Senator John Kerry, I thought the real fight was in Afghanistan, whose government harbored the al Qaeda conspirators who planned the 9/11 attacks. I thought our troops belonged in Afghanistan tracking down Osama bin Laden, not in Iraq. By 2008, President Bush announced the start of a phased withdrawal from Iraq, which is being continued by President Obama. President Obama inherited the situation, as President Nixon inherited the Vietnam War in 1969. What Obama appears to want in Afghanistan, like Nixon in Vietnam, is a way to withdraw from the situation without suffering a humiliating defeat and leaving the country in chaos. To accomplish this, he is like Nixon and Kissinger, escalating the war while offering negotiations; without the escalation, there is nothing to negotiate with. I’m not sure this will work any better in Afghanistan than it did in Vietnam. You may ask why you should take my opinion seriously, when I’ve admitted I been wrong so many times in the past. I hope I am wrong. I would have been happy if President Bush had proved me wrong about Iraq. I will be pleased if President Obama proves me wrong about Afghanistan. Two friends of mine, Hal Bauer and Hank Stone, have been taking part in a peace vigil every Sunday – rain, shine or snow – which began immediately after the invasions of Iraq and Afghanistan. This coming Sunday their vigil will mark the seventh anniversary of the invasion of Iraq. The vigil is sponsored by Peace Action and Education, an affiliate of Metro Justice; Rochester Against War; Progressives in Action; and Genesee Valley Citizens for Peace. Hal tells me they haven’t changed their anti-Bush signs because, as far as they’re concerned, President Obama’s policies are merely a continuation of President Bush’s. We have cities dependent on antiquated water and sewerage systems, many dating back to the 19th century. We have millions of able-bodied men who are out of work. What is the problem in putting the men to work replacing water and sewer pipe? The problem is an ideology that says that everything that is done by government and supported by taxes is unnecessary or bad, especially if rich people are taxed and poor people benefit. When public water and sewer systems were first proposed in the 19th century, they were opposed by affluent people who had their own private systems, until it was pointed out that contagious disease doesn’t necessarily limit itself to one economic class of people. 1. If you’re in love with an idea, you are no judge of its beauty or value. 10. If you hit the bull’s eye every time, the target is too close. 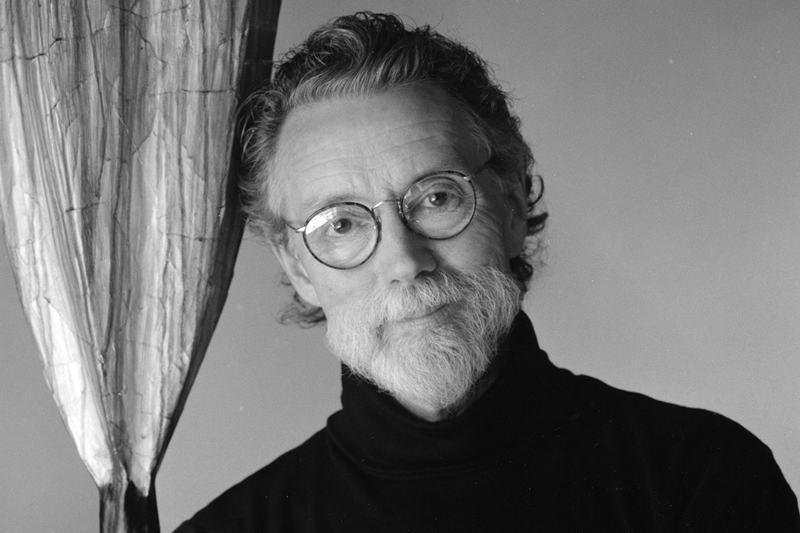 Wendell Castle is an American furniture artist and a leading figure in American craft. I copied his Rules of Thumb off a poster years ago. He taught at Rochester Institute of Technology’s School for American Craftsmen, and has a studio in Scottsville, N.Y. I don’t believe in conspiracy theories because I don’t need to believe in them. What is on the record is so appalling that so I don’t need to go beyond what is known in order to be outraged. When I say I don’t believe in conspiracy theories, I don’t mean literally to deny that people in positions of power ever do bad things in secret or try to cover them up. I mean theories that require you to believe that evildoers (1) have near-superhuman ability to manipulate events and keep secrets but (2) act for no understandable human motive except love of evil. 9/11 Truthers. I know otherwise-sensible people who believe that President George W. Bush manipulated the 9/11 attacks, arranged to have explosives secretly planted in the World Trade Center and had the Pentagon hit with something else except a bomb. The case is based on certain technical arguments which have been disputed. But what really defies belief is how such a conspiracy could be arranged by people who could not provide convincing evidence that there were weapons of mass destruction in Iraq. 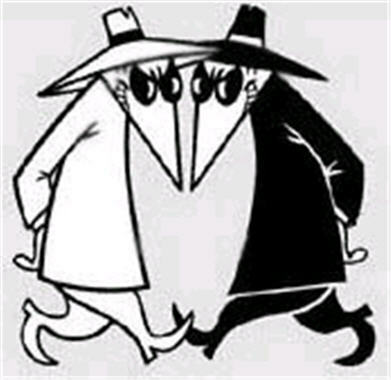 All such conspiracy theories rest on the idea that there is a two-track government – one of normal human fallibility, which does all the things we read about in the newspapers, and another with the capabilities of the old TV Mission Impossible team, which we never learn about. Obama Birthers. This is the theory that President Obama was really born in Kenya, and hence is Constitutionally unable to serve as President of the United States. In order to believe this, you have to believe that a pregnant woman resident of Hawaii would choose to go to Kenya to have her child delivered, then return to Hawaii to plant fake evidence (a newspaper announcement and a Department of Health birth record) that the child was born in Hawaii. What motive would anyone have to do this? Hawaii has converted its records to electronic form, so the record of Obama’s birth is electronic rather than a written document. The Birthers believe, or would have us believe, that Team Obama was somehow able to manipulate the changeover. There is an almost endless list of examples – the many Kennedy assassination conspiracy theories and, before that, the many Lincoln assassination conspiracy theories; all the things that Obama is supposedly plotting to do, from death panels to abolition of sport fishing. But of course there are such things as conspiracies – the Kissinger-CIA plot to overthrow President Allende of Chile, for example. Carroll Quigley’s hard-to-obtain history of the 20th century, Tragedy and Hope, has much interesting information about the behind-the-scenes influence of the Anglo-American financial establishment. What distinguishes these reports from what I call “conspiracy theories” is that they provide credible evidence, not speculation, about people with human capabilities doing things for human reasons. If I were more conspiracy-minded than I am, I would suspect the existence of a conspiracy to spread bogus conspiracy theories to distract attention from the real conspiracies. The current recession is the worst since the end of World War Two. But it comes following a 10-year period which saw the worst U.S. economic performance since the 1930s. And notice when job growth is at or slightly low the break-even point, that doesn’t mean the economy is standing still; it means we’re falling behind. Just to keep up with the population increase, we need to add 100,000 jobs a month. To make up for jobs lost, we need to add 300,000 jobs a month. Even if President Obama were Lyndon Johnson and Franklin D. Roosevelt rolled into one, it is hard to see where that job growth would be coming from. Rebuilding the U.S. economy is possible, but it will take a long, tough slog to do it. The first step is to realize we have a problem that is going to take more than putting things back the way they were before the current recession.